Born in Wellington, New Zealand on the fortunate cusp of Generation X & Y, Yvette never had the chance to go to University but this hasn’t stopped her starting six businesses, and selling two. She left New Zealand at age 21, and spent most of her 20s travelling the world, including three around the world trips of a year each, one of which was funded by a travel agency who she blogged for on the road. She had her first child in London and then arrived to Australia in 2004, starting her third business in 2007 after the birth of her second child – The Creative Collective. She won her first business award in her first 6 months of business (Queensland Young Entrepreneur of the Year) and has since gone on to win numerous other business awards including the ICT Woman of the Year at the iAwards in 2013 and the Commonwealth Bank Business Owner of the Year at the Telstra Business Women’s Awards in 2010. She currently runs three companies – The Creative Collective – a creative agency; The Training Collective – a training organisation focussed on providing digital skills and awardshub.com – an online portal which helps people find awards to enter, and enters them into them. 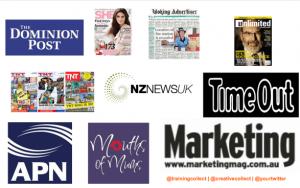 Across these organisations she has consulted and trained 1000’s of people to get online, and achieve online success through provision of both digital marketing services and digital training throughout Australia & NZ as well as to win business awards. The Training Collective was recognised at the 2014 Australia New Zealand Internet Awards (ANZIAs) taking out the prestigious Access & Digital Skills category for the Get Up To Speed program which has provided over 750 people from across Australia & NZ with essential digital skills. She has written two books – one a biography on her grandfather’s life called More Than Meets The Eye in 2006 and the second in 2014 called ‘No Kidding – Why Our Kids Know More About Us Than Technology and What We Need To Do About It’ which is available on this site and through all good book stores. She is an experienced public speaker and MC including MC’ing at Edutech, Australasia’s largest education and technology event in June 2014 in Brisbane. She has a soft spot for youth and regularly supports youth, education and technology related initiatives including Teens Take Control, CoreEd and Digital Careers. She is also on the committee of the Australian Institute of Company Directors (AICD) Sunshine Coast, the expert panel of the AICD’s Directing Growth program and is also a member of the Sunshine Coast Council’s Knowledge & Service Based industries task force. She is regularly called on by the media as a spokesperson and for commentary, writes regular columns for a range of publications and blogs on topics including technology, social media, building digital skills, kids & technology, business awards, entrepreneurialism and more, which can be read on this blog. Get Yvette to Speak or Consult! 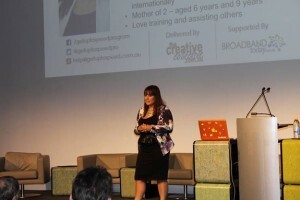 Yvette is regularly called on as a keynote speaker at events and conferences. She can also MC, or put on an interactive workshop at your school or workplace, or offer consultancy services. awardshub.com who find business awards to enter you into, and prepare your submission! Yvette has written, and does write for a variety of outlets. To commission a one off or regular piece, please contact us.